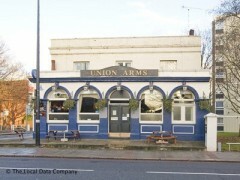 About: The Union Arms is a pub that serves a selection of beers, wines and spirits but no food. They have a disco at the weekends. They also have seating on the pavement. A cigarette machine is also available for use.